Pearls are the only gem produced by a living organism. Coveted and treasured for centuries, find out how these gems are formed and the characteristics that make each unique. Entry level pearl widely used in place of low-value beads but not generally regarded as a gemstone. Natural colours can include yellow, orange or purple. Typically bleached, dyed, and polished for lustre and colour enhancement to acquire the appearance required for use in jewellery production. Fine quality natural pearls are extremely rare. 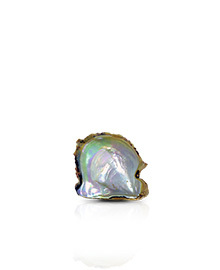 In the wild, perhaps only 1 in 10,000 oysters will produce a natural pearl of jewellery quality. The exact cause that results in the formation of a natural pearl is not fully understood. It was once believed that natural pearls formed in response to a foreign substance (for example, a piece of grit) making its way into the shell of the oyster. Initially it was believed that the oyster coated the invader in layers of nacre as a 'defence mechanism' to protect itself from the substance. While this may be the case in rare examples, research in recent years suggests that natural pearls may actually occur more spontaneously and inexplicably - further adding to their mystique. What we can say is that a natural pearl is one that is formed in nature, without any human intervention. 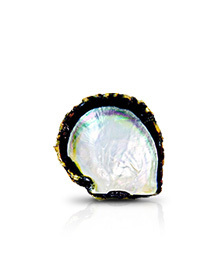 The result is a pearl with a unique combination of size, shape and colour. Press 'Play Video' to view an animation of the process. To produce pearls of natural beauty with no enhancement requires farming practices that mimic the natural life of the oyster as closely as possible. For more than 50 years, Australian pearl farmers have sought to understand the secret behind the Pinctada maxima’s ability to produce natural pearls of superlative quality. 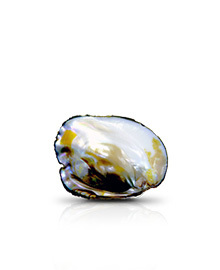 The pearl culturing process begins in the pristine waters off north-western Australia, with the careful collection of the wild Pinctada maxima oyster. Operating from ocean-going vessels, teams of divers face the dangers of the depths to hand-pick oysters from the seabed. The collection of oysters by hand is an environmentally responsible form of commercial fishing causing no damage to the seabed and producing no wasteful by-catch. Implanting the nucleus from which each pearl grows is a meticulous and specialised operation. On board the pearling ships, the oysters are held in tanks of constantly circulating seawater until a polished sphere of Mississippi freshwater clam shell is delicately inserted by a skilled technician. This material is expensive, but is used because it has an almost identical chemical composition and density as a natural pearl. Once seeded, the oysters are returned to the sea to allow nature to take its course. Maintaining the oysters in optimum health is key to the production of high quality pearls. Throughout the 2-3 year husbandry period, the oysters are individually cleaned every ten to fourteen days to remove marine growth that would otherwise compromise their health. After a minimum of two years of careful nurturing, the oysters are raised from the sea once again and brought to the mother ships for harvest. Until the moment that technicians extract each pearl, the result is unknown. Great care is taken to minimise any harm or stress to the oysters, as they can be used for a second and sometimes a third seeding. Each pearl is individually sorted according to "The Five Virtues" grading system. 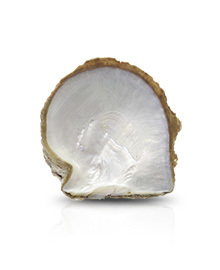 The pearls are graded in the same natural state as they emerge from the oyster and the range of categories is vast. Paspaley Pearling Company, the primary producer of Australian South Sea pearls classifies its pearls into nearly 6000 individual grades. This stringent process makes the grading exacting, but is necessary to ensure consistency. 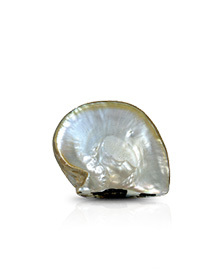 Fine quality pearls are at the height of their beauty the moment they are removed from the mother oyster. Such pearls require no lustre or colour enhancement prior to setting as jewellery. As with all gemstones, fine quality pearls that require no enhancement are exceedingly rare and highly prized, and this is reflected in their value. As with other gemstones, the processing of pearls is a common practice that makes attractive jewellery accessible to a wider market. Processes such as light chemical treatments may improve the appearance of a lower quality pearl. The improved lustre resulting from light processing may fade after a few years, but this does not damage the pearl's structure. Heavy chemical treatments may adversely affect the physical integrity of a pearl and can sometimes impart a coarse and chalky look and feel.